Destination weddings are romantic, beautiful, and special for the bride and groom, but how do you make it equally enjoyable for family, friends, and guests? If you want to spend your wedding with the people you love, make sure you look over these tips. You can have the best of both worlds if you do it right. Destination weddings get a bad rap sometimes. People automatically think the cost is outrageous or the bride and groom are selfish, but often these weddings are the opposite. Couples interested in savoring sweet moments with an intimate circle of family and friends should seriously consider a destination wedding. Since the trip won’t be possible for all invited guests, the celebration will be laid back and relaxing for all parties involved. Guests able to attend will be excited about an excuse to get away from the busyness of normal life and come unwind on an island with their dear friends from around the world. The bride and groom get an early start to honeymoon festivities with a destination wedding. Leisurely days leading up to the big day are spent enjoying island life, taking slow walks along the beach, laughing with good friends, and eating delicious meals. After the ceremony, the bride and groom often decide to stay on the island for a while longer as a newly married couple. Avoiding the stress of travel after the wedding day gives couples a smooth transition into married life. Are We Inconveniencing Our Guests? Many people assume a destination wedding is an enormous inconvenience for guests. While there might be some extra costs involved, guests often have to travel for weddings regardless, so creating an exciting destination can encourage attendance rather than the opposite. To be considerate, plan your wedding at an easily accessible destination. Don’t reserve a beach on a small, uncharted island forty miles off the coast. Pick a well known area, like the Bahamas, with reliable transportation and available accommodations. Guests will be eager for the adventure as long as they are confident they know what they are signing up for. Destination weddings require extra travel costs, but several standard wedding expenses are typically lower. Costs on items like floral arrangements, catering, reception rentals, and more are minimized in a destination setting. When the destination is stunning, the additional fluff doesn’t seem so important. For catering, a smaller number of guests can be served with a smaller amount of food. Normal hometown weddings quickly grow in size as the word spreads about the event. Couples and families feel more pressure to invite larger numbers, which spikes cost on all fronts. The intimacy of a destination wedding saves you from feeding 250 people or more. The budget is a crucial aspect of destination wedding planning. A budget is always a large part of any wedding, but planning for a destination event poses unique items for consideration. For example, the budget should include a certain amount for shipping things like the bride’s dress, bridesmaids’ dresses, tuxedos, select decorations, and other necessities. The couple also should decide on a price cap for the venue. Some destination wedding locations want to charge foreigners outrageous amounts for their facilities, but thorough research reveals several cost-friendly options offering the same luxurious amenities and breathtaking setting. A wedding planner is a must for a destination wedding. Making arrangements for a wedding at home is overwhelming enough, let alone trying to plan a wedding in a place you’ve never visited before. Look into a handful of options before deciding on a planner. 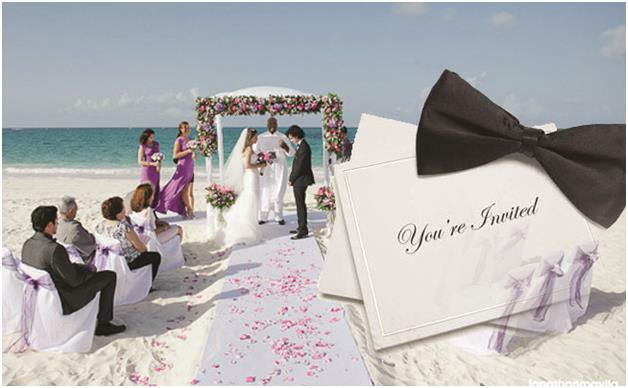 Check credentials to see if a wedding planner has experience with destination weddings. While a wedding planner is an extra cost, they usually end up saving the couple and family money because they understand the random nuances and challenges of the wedding industry. They will help avoid schemes, price traps, and other amateur mistakes. Both a blessing and a curse of destination weddings, the guest list must be kept to a minimum in most cases. To make this type of wedding affordable, couples cannot invite all their college friends, childhood friends, and random acquaintances. Only truly important figures in their life should make the guest list. Important family members and loyal lifelong friends get top priority on destination wedding guest lists. Make the travel aspect of the wedding easier on guests by recommending a travel agent. Talk with the agent beforehand to make them aware of the situation, then direct guests with questions concerning travel arrangements, accommodations, and other details to the travel agent. This helps alleviate stress on the bride and groom and gives them more space to enjoy preparing for their special celebration. 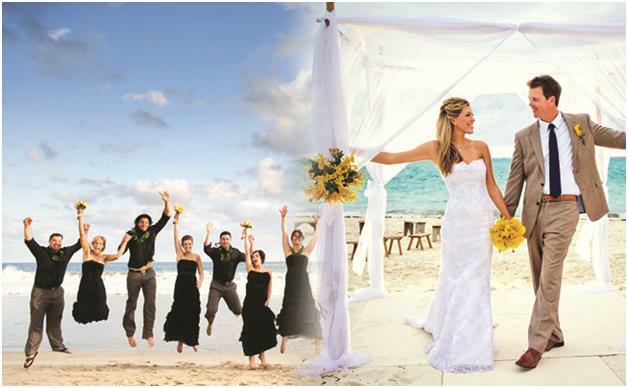 Some couples want to help guests enjoy their wedding by paying for certain services during their stay in the Bahamas. When providing this type of favor, carefully consider how you want to help guests enjoy their stay before making the financial commitment. Whether you choose to cover meals, accommodations, or add a few luxury treatments to each guest’s schedule during their visit, make sure the expenses fit into your existing budget. The invitation schedule for destination weddings is slightly different from typical timelines. Normal invitations are sent approximately eight weeks in advance, but guests will need substantial forewarning about a destination celebration so they have adequate time to make proper travel arrangements. Aim for sending invitations three months in advance. As is the case with all types of event planning, coordinating the details of your destination wedding can become stressful and confusing. When unexpected glitches happen, keep calm and talk with your wedding planner about the best solutions.